If you accidentally see this app on Google Play, then, most likely, do not even pay attention to it. Screenshots are boring, a description is the Spartan … But in fact, Tasker can turn your Android device into a fully automated device that executes a lot of different actions without your intervention. For example, you can use Tasker to configure your smartphone so that after 23:00 it will go into plane mode, cutting off all communications but every half hour it will connect to the Internet and download new messages, and then again disconnect from the outside world. 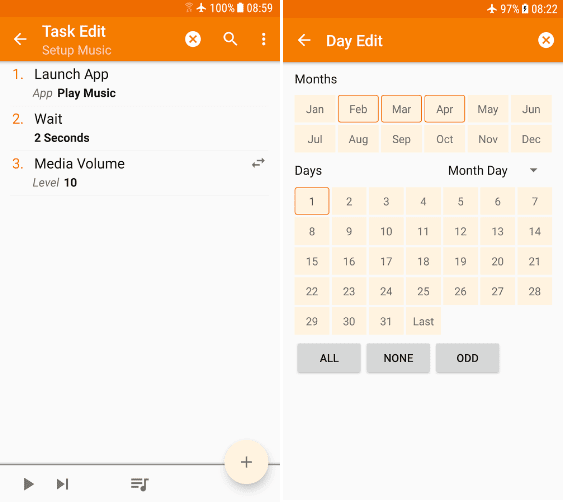 Also, with the help of Tasker, you can start any application at a given time, schedule the daily backup of important files from the microSD card, or, for example, automatically turn on GPS or Bluetooth when running pre-defined applications. Another example of using Tasker is that with this application, you can set up your smartphone so that it will send an SMS with a certain text (say “I’m driving, I’ll call back”) to the number of the last call you missed. And these are just a few examples of hundreds of possible ones. 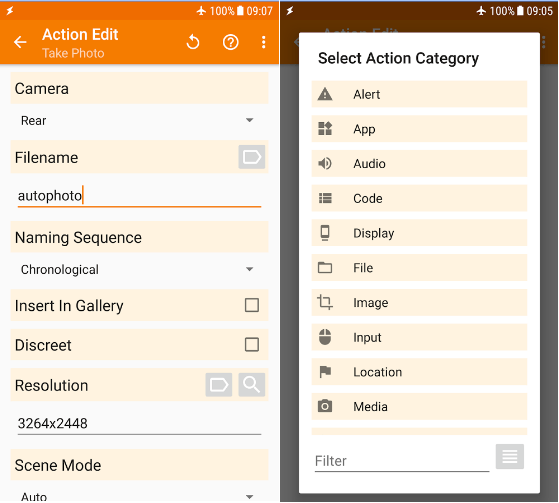 Tasker can perform more than two hundred different actions. Tasker can be obtained in exchange for a small amount of money. Yet in Tasker, you can create widgets and individual applications, and you can extend the functionality with plug-ins. There are plug-ins for voice control or remote control of the device, they are all available on the network, and they are inexpensive. With their help, you’ll even more improve your tablet or smartphone on Android. Note that plug-ins are added to contexts and tasks – it all depends on what kind of chain of actions you want to create. As you can see, the application’s capabilities are simply stunning, and it’s not for nothing that Tasker is called the best service for automation. Yes, at first, you need to understand the interface of the program but the elapsed time will completely pay for itself when you can fully configure the device for your own purposes. Therefore, the Tasker tool is definitely worth the installation and will significantly expand your knowledge of the system and your gadget. Starting and shutting down the application. The infinite number of actions. Check also 17 Best voice to text apps for Android.